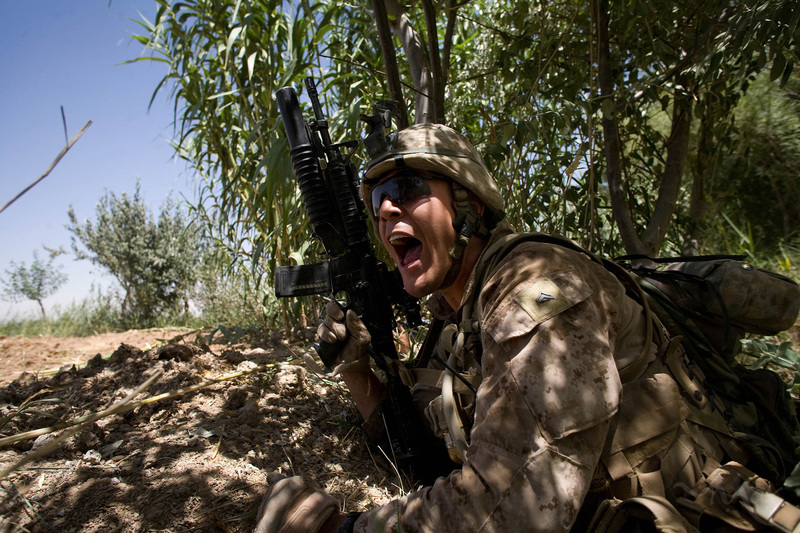 Marines of the first platoon of Lima company of the 3rd Battalion, 6th Marines, shouts out the location of Taliban shooting at his fire team in northern Marjah. The Marines took cover in canals and returned fire. The Taliban fled on motorbikes 15 minutes after shooting at the Marines. Four months after a major offensive to secure Marjah, the 3rd battalion, 6th Marines continue to face resistance as they attempt to win over the population in the rural area, which is a major poppy production center.